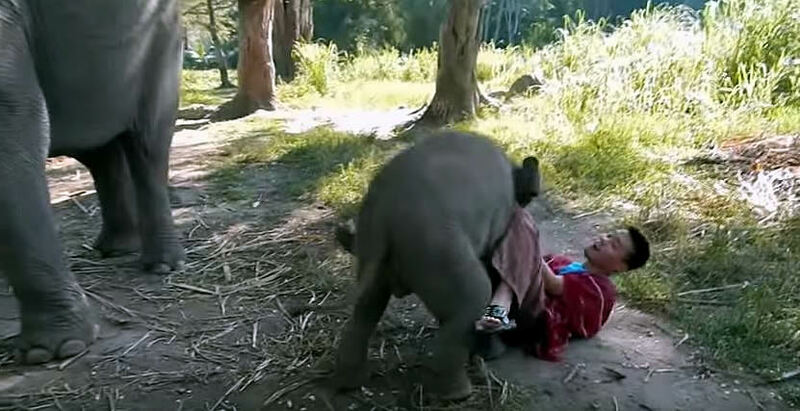 Do many accidents happen with elephants? There’s no year without happening some heavy accidents with elephants. 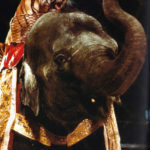 We are informed about 3 to 4 dead elephant keepers every year just in the European and North-American zoos and circuses. 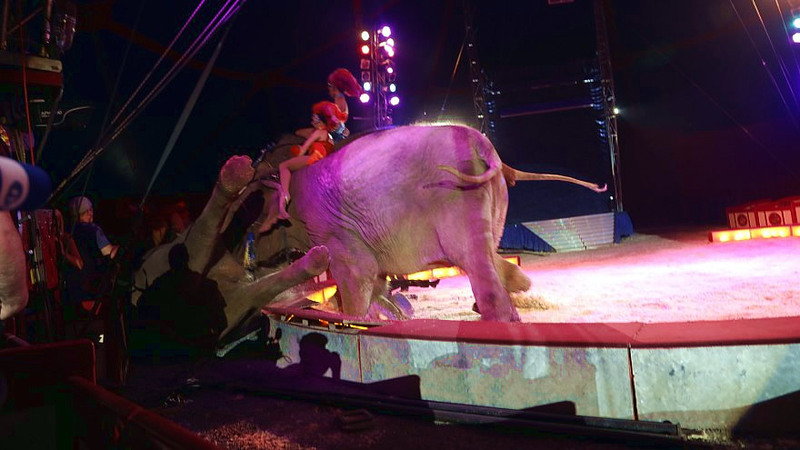 In addition there are some seriously injured elephant keepers and circus people, who can no longer work with elephants because of physical or mental reasons. Why do accidents happen every so often? There’s an enormous difference in strength between elephants and humans. On the one side the massive elephant and on the other side the relatively weak and fragile human. Another reason is because of the hierarchical structure of the elephant group. The elephant keeper must develop his alpha position among the elephants and he has to confirm it again and again. When three elephants have rank fights during the circus performance, this can be dangerous for the circus visitors and elephant keepers. Are accidents always preceded by an attack? A misunderstanding between human and elephant can result – without bad intentions – in fatal consequences. It is a classic accident, which could also happen on a farm or in a horse stable, when human and animal try to pass a narrow door at the same time. What, with a little bit of luck, would possibly cause just fractures when having an accident with horses or cows, would almost certainly cause lethal injuries in accidents with elephants. Are there also ill-meant attacks? 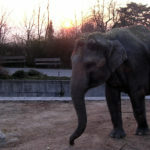 However besides the unfortunate misunderstandings, there are also vicious attacks of the elephants against their keepers. The hierarchical group structure among the elephants brings about continual wrangling and fights between the animals. Because the elephants consider their keeper to be another elephant, he has to confirm and to develop his position within the group again and again. How can attacks be avoided? The elephant keeper will achieve this goal by a good training of his elephants. Only, if the elephants have enough respect for and confidence in their keeper, they will accept his position in the hierarchy. Another reason lies in the hierarchical structure of a group of elephants. 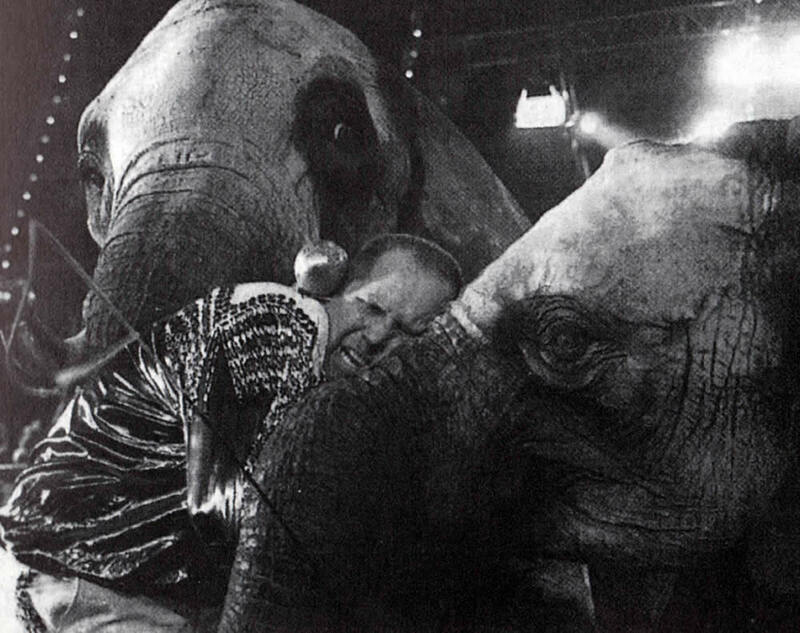 The elephant keepers have to work with the elephants and have repeatedly confirmed his alpha position. Why do attacks nevertheless take place? Young elephants at the age of puberty, power struggles within the elephant group and new keepers “disturb” the stable herd structure. This leads to conflicts, which can result in tragic accidents. Are elephants dangerous after all? But again and again there are also accidents “out of the blue”. 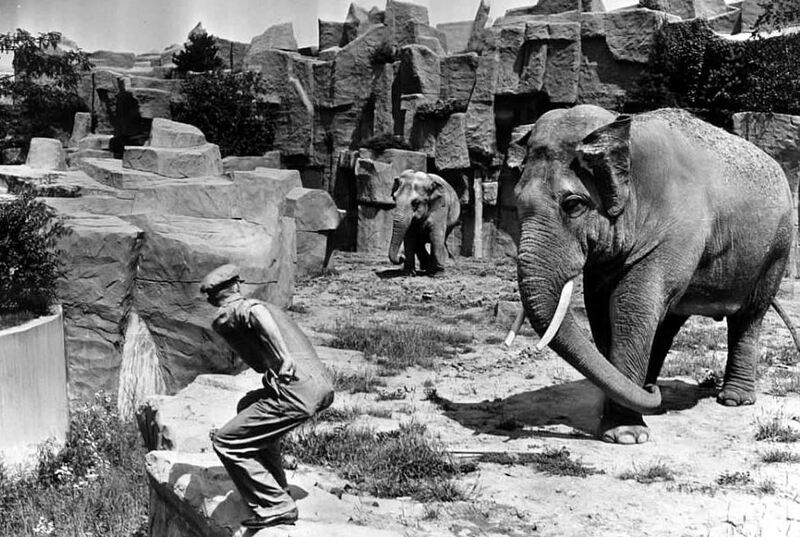 Without any warning or an apparent reason, an elephant, which had been reliable and familiar up until that point, is going to attack his keeper. After attacks like that, all concerned persons are shocked and search for an explanation for the “abnormal behaviour” of the elephant. Often they say then: The elephant “cracked up” for unknown reasons. However the reason for the attack will normally continue to be a mystery. Perhaps for a short moment the beast in the elephant turned up. This is why elephants – in spite of the training and their familiarity with their keepers in the zoos and circuses – are still very dangerous animals. What makes elephant bulls dangerous? The musth phenomenon of elephant bulls is often underestimated. Some bulls become aggressive still before the outer symptoms are noticeable. Even the safest bull stable is useless, if the safety measures have not yet been installed. In many cases the own bull is also underestimated according to the principle: “My bull will do me no harm”. This can be a fatal fallacy. Also young bulls can cause accidents, which still live together with the cow elephants in free contact to the keepers. Actually the young bull should already live in another zoo. But frequently it is very difficult to find a good new place for young bulls. 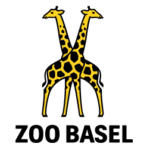 Because of structural and/or financial reasons, most of the zoos are only capable of keeping one bull. When does musth occur for the first time? However it can easily be that the first musth symptoms of a young bull occur already at the age of about 7 years. That means that from this age on a young bull should be accustomed to a bull stable and should let himself manage without direct contact to the elephant keepers by the Protected Contact. Do accidents often occur with bulls? 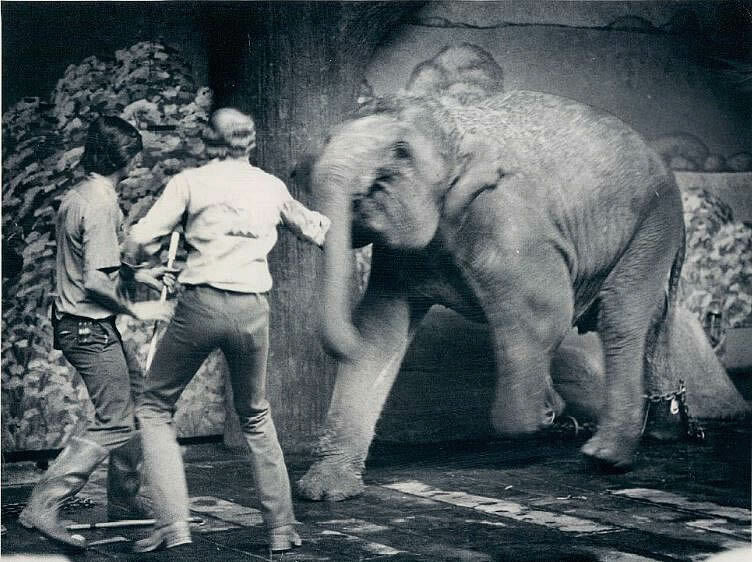 When some years ago elephant bulls were still performing in circuses and were kept just like cow elephants in the zoos, accidents with bulls were very frequent and inevitable. Fortunately such accidents are rare nowadays – at places, where the safety plan works. What happens to “bad” elephants? Accidents are tragic both for humans and animals. Often elephants, which killed their keeper or seriously hurt him, are also killed. This is done because the confidence in the elephant has been destroyed. An elephant, which killed his keeper could possibly again kill or hurt his new keeper, when other conflicts arise. 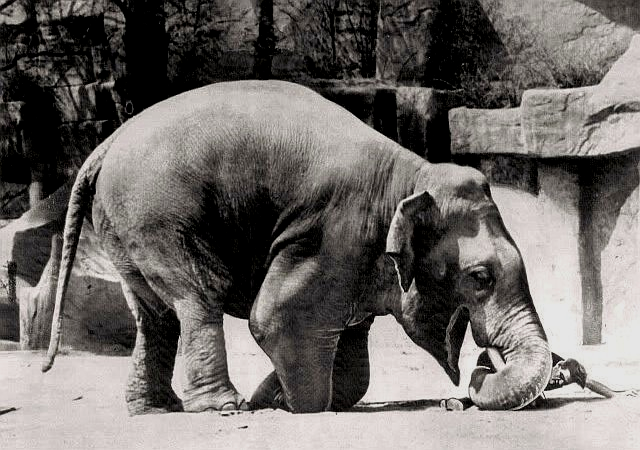 The elephant bull Ziggy from the zoo of Chicago was kept for 30 years only in the inner stable of the elephant house, after he had attacked his keeper, who had the good fortune to survive the attack. Nobody dared to take Ziggy to the outer grounds. In 1975 the bull died after he had fallen into the separation ditch.